available in 1/2oz or 32oz size.this product is used to cure wrap gel or glue.drys fast. available in a 1/2oz or 2oz refill bottle.this cool mint activator product is used for activating or drying all wrap gels. Available in a 2oz spray or 8oz refill bottle.used to activate and dry all resins or glues. No bubbles“No pitting“No heavy filing““The Professional Choice Accelerator. Isabel-Cristina Let’s Go Spray Nail Glue Activator dries nail glue Instantly! No bubbles and no pitting of glues with no heavy filing necessary. Just Spray and buff. Works great with glazes and dip powders.“ “Forms a non-porous surface. Low Odor and puts an end to pitting, bubbling and heavy filing. With Let’s Go you just spray and buff for beautiful nails. 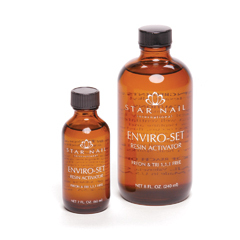 Works with all types of nail glues, resins, silks, linens, fiberglass wraps, tips, gels and glazes.